The stunning necklace is part of an extensive jewellery collection from Jana Reinhardt, featuring unique designs that are all handcrafted. Any imperfections only add to the personality as each piece is made by hand using fabrication and wax carving techniques, meaning you truly are getting a unique jewellery item. The range covers rings, earrings and necklaces for all occasions – you can check out the full collection here. The Hummingbird Necklace is simply exquisite – measuring 2x2cm the hummingbird is so simple and delicate, yet so eyecatching, the design is fresh and the perfect accessory piece for moving into the warmer weather. Available in a range of different colours and metals to suit your taste, prices range from £89 to £770 dependent on your choice. Beautifully presented in a pull out cushioned keepsake box, the necklace has two links allowing you to wear at either 16 or 18 inches. Perfect for me to wear… and also Liv, however I have managed to keep the necklace for myself at the moment… that is an achievement in itself! The Hummingbird design has almost become synonymous with Jana Reinhardt and there is a full collection dedicated to the design. It is easy to understand why it is so popular, with other Jana Reinhardt designs equally as beautiful! I guess it’s giveaway time now, I am hoping you have fallen in love with the necklace as much as I have… but now it’s your time to enter the latest giveaway for your chance to win your very own hummingbird necklace! It is certainly the week of giveaway on the site, don’t forget to enter for your chance to win a Fingerlings Narwhal light up toy too! 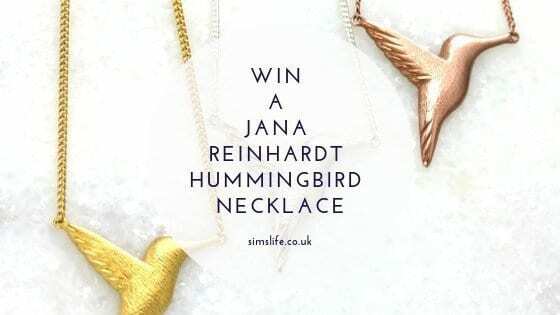 For your chance to win a sterling silver Jana Reinhardt Hummingbird necklace worth £89, simply enter using the Gleam form below and don’t forget to answer the question by leaving a blog comment! The one winner will receive 1 x Silver Jana Reinhardt Hummingbird necklace. I smiled on my way to work this morning, passing a house with a garden that the children have “planted” those little windmills in. Looked so cheery on a rotten wet day. My partner sating he was cooking a mid week roast. I cannot wait. Seeing huge snowflakes falling today – the kids were so excited! Sadly it turned to sleet then rain! My poorly cat has had a cone on for 4 weeks. This morning we took it off and it has made me smile to see how happy she is. looking back through all the mothers day cards my two children have sent me over the years. quite a few as my children are now 29 and 31! My daughter makes me smile everyday. If I win, she will get this. A phone call from a friend I lost touch with years ago. I smiled with relief after my dentist had finished extracting 2 molar teeth this morning. The TV programme ‘Would I lie to you?”. more than smile – I laughed out loud! My guinea pigs waiting for me to get them up and give them cuddles and breakfast this morning! My little dog who is curled up next to me right now. My cat asleep and snoring in the sunshine on my window sill. Leaving the doctors feeling more positive. My friends came over today for a play date – we drank hot chocolate, ate biscuits and had lots of laughs. And for once all the kids played so well and shared toys – brilliant! My two sons – all the time! A joke someone told me . WATCHING MY DAUGHTER WATCHING THE HAILSTONES IN AWE. The giggles from my baby when I tickle his toes! Speaking to my friend on the phone . She now lives in France. A lovely letter that I got in the post today made me smile. My lovely boyfriend. Got home from a bad day at work and he had food cooking and a glass of wine poured for me! My cat – he was most insistent that he had to go out despite the fact it was blowing a gale and bucketing! Out he went only to reappear 10 seconds later and he hasn’t moved a muscle off the sofa since. My son always makes me smile and laugh. My cat jumped on my bed and began headbutting my face. my granddaughter, she makes me smile everyday! My daughter waking up and being so.happh to see me! My 2 dogs wanting to be very playful. A double rainbow that ended at our house. The little boy in the caffe this morning, who came to my table and asked if I’d share my biscuit with him. A big cuddle from my 3 year son and him telling me that he loves me. This is a stunning necklace! I wish it was available in the USA! Thank you..I am going to see if I can find Jana Reinhardt pieces here!! Getting a big hug from my boyfriend this morning before leaving for work! My grandson when I collected him from school. An old friend contacting me. I’m away on holiday at the moment and decided to cook a Thai curry from packets and tins – it turned out really well! Earlier on in Tesco my son insisted we tried on the foundation samples. We found his perfect colour and he was so proud of it! I raise shih tzus and we currently have 2 puppies. They love to play and since they are going to forever homes tomorrow, I love watching them play. So I smiled at them today. Speaking to my mum on the phone…. We live a long ng distance from each other. That we are just about to go and view another house. My 4 year old has been super affectionate today and gives the best cuddles! Getting to leave work early & pick my son up from school! my dog running away from the sound of her own trump! Hearing my 2 boys laughing together. I managed to glue a door together without gluing myself to it! My baby Granddaughter giggling to me on Facetime. Waking up without an alarm this morning!!! My grandson telling me a joke has made me smile! Thinking about my son’s joy at my getting him a nintendo switch as he loves it! My partner bringing me home a Robbie Williams CD single to add to my collection. My girls have made me smile today. They make me smile every day. My husband getting frustrated with the alexa. Listening to my little one singing away while drawing, with not a care in the world! The rain has stopped and the sun is coming out. My husband cooked my dinner and cleaned up afterwards! My dog, Elvis, made a noise when he yawned. Mŷ dog enjoying his walk this afternoon. Having some friends and their kids round for a fun noisy lunch. The sun is shining and I can do some much needed gardening! My African Grey Parrot, JoJo makes me smile because she says ‘I love you darling’ each morning when the window blinds are first opened. She loves to sing and dance when she wakes up, as well as her dawn chorus of chatter. I love all birds. I’d be thrilled to win this gorgeous humming bird necklace, we were lucky enough to see humming birds many years ago on a Caribbean holiday. Seeing a lovely fresh bouquet in my living room! I watched a bird for ages that was moving leaves in the garden,I don’t really know why it was doing it. Being able to have time to do my morning yoga and starting the day feeling relaxed. I smiled at my daughter celebrating her sixth birthday with her friends. 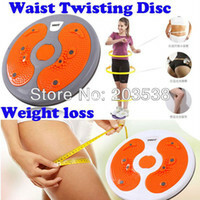 Finishing an hour of physiotherapy! Booking my holiday to ibiza. Our cat often sunbathes on our bin, but it was bin day today and the bin was out in the street. The cat still curled up on top, and the bin men had to shoo him off to empty it. No work today and the weather was lovely. What more could one ask for? A sparrow hopped onto my window and looked at me, after enjoying a cooling bath in the birdbath. Watching bees enjoying some flowers that I planted for them. Watching a little relative running around the garden doing an Easter egg hunt! Seeing my family, especially grandad and my 5 month old niece! Watching my son play football. My girls make me smile every day, today because they were so pleased with their easter egg haul! Watching The Green Green Grass on TV has made me smile.